This writer has a Master of Arts Degree in Gastronomy from Le Cordon Bleu and the University of Adelaide, and a liberal arts degree from Smith College in MA, USA. She is also the recipient of the IACP (International Association of Culinary Professionals) full scholarship for Gastronomy. Born in Philippines, she has traveled all around the archipelago and to the US, Canada, Hong Kong, Singapore, Malaysia, Thailand, Vietnam, Laos, Japan, Indonesia, Australia, Bhutan, Argentina, Myanmar, and Macau, She has lived and worked in the US, Australia, Singapore and in Hong Kong. Her big dream is to eat her way around the world, and blogs about the delicious adventure. The author was also specially trained in the US for food styling. She has produced camera-ready food for the editorial requirements for Good Housekeeping Philippines, and advertising requirements for TV and print of Coca-Cola, Monde Nissin, Del Monte, and many other multinational companies. She also offers Creativity Stew, a workshop designed to nourish and inspire weary creative souls. With her diverse and in-depth experience in food, travel, and culture, she has given lectures in the National Museum of Singapore, the Asian Development Bank, the Australian School in Singapore, and the International School of Manila. 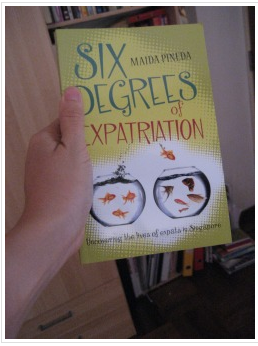 Maida is currently based in Manila, Philippines, but continues travel extensively around the region and beyond. “What begins as an innocent food trip to partake of roti pratas, Hainanese chicken rice, and oyster omelettes turns into a life changing decision. International food and travel writer Maida Pineda captures the thrills, quirks, and adjustments of her big move to Singapore. Her candid and honest story covers everything from the inescapable conversations with cab drivers, to ﬁnding a place to rent, and even the arof saving a seat at hawker centres. Through her everyday adventures in this small island, she encounters a diverse mix of expatriates from all over the world, including a photographer, a linguist who speaks eight languages, and a meditation teacher. She tells the story of their lives in this compact country, closely interconnected, where everyone seems to be linked in less than six degrees of separation.” -from the back cover of the book. Read my adventure along with the stories of other fascinating expats from the US, Canada, Japan, Thailand, Italy, France, New Zealand, India, Australia and the Philippines in the book. Released in Singapore, November 2009 and in Manila in 2010. 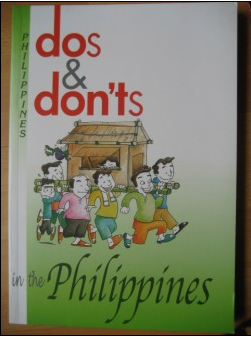 It has the special honor of being the first book to be sold in all Starbucks cafes in Singapore last July 2010. Just need to say thank you for a refreshing and unmistakably honest account of the eclectic life in the Red Dot! Well done!